I received a beautiful Hang Up from My Pretty Hang Up @ Etsy today! 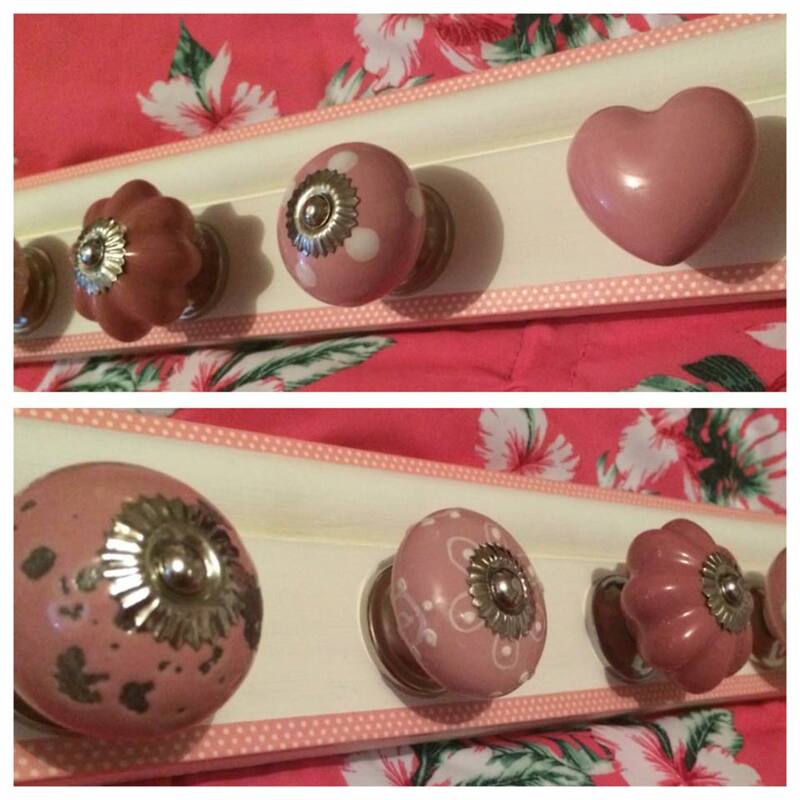 A Hang Up is basically a cute wall-mounted rack of little knobs which jewellery, scarves etc can be hung on. They are so cute and remind me of going into the Cath Kidston shop. They are made with 1-5 hooks and I have a 5 hook one. Look how beautiful this is! The pink polka dot border is absolutely adorable and the whole thing has such a lovely weight to it. It's really substantial but not too heavy, the knobs are superb quality and so pretty. I am absolutely thrilled with my Hang Up! This is going to look beautiful with all my necklaces hung up on it in my pink room. 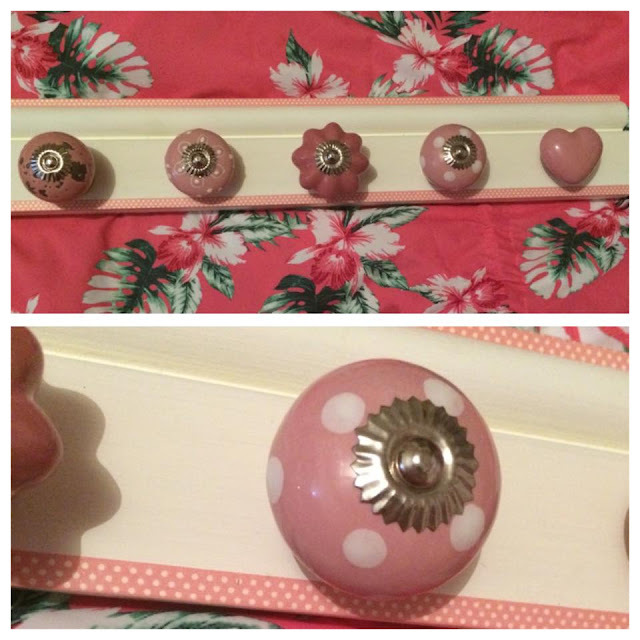 I 100% recommend My Pretty Hang Up if you're after a rack to store your jewellery and/or accessories.